The California Square Dance Council was incorporated in 1971, but its origins date back to the 1950s. 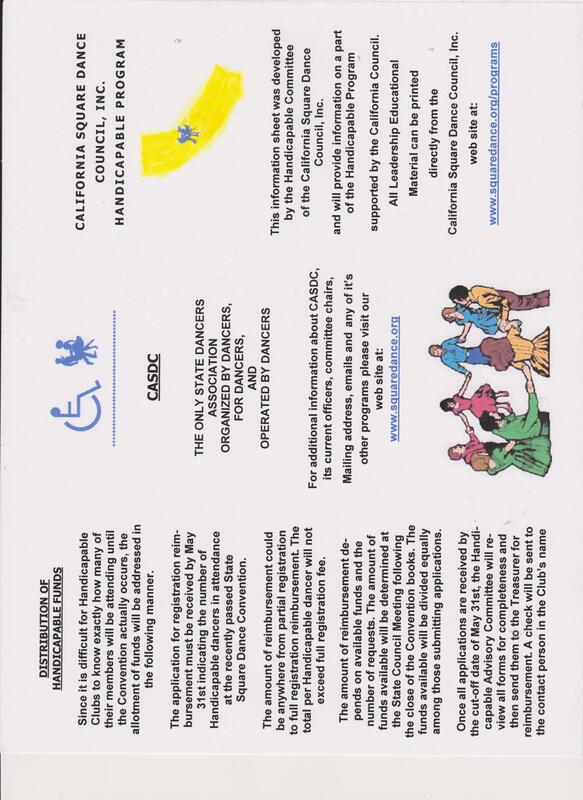 The Council Handicapable Program is monetary in nature. 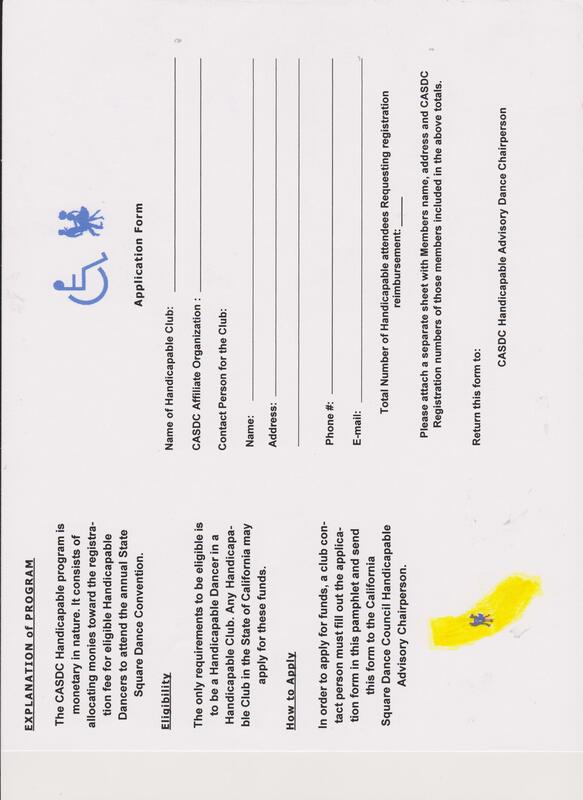 It consists of allocating monies toward the registration fee for eligible Handicapable Dancers to attend the annual State Square Dance Convention.